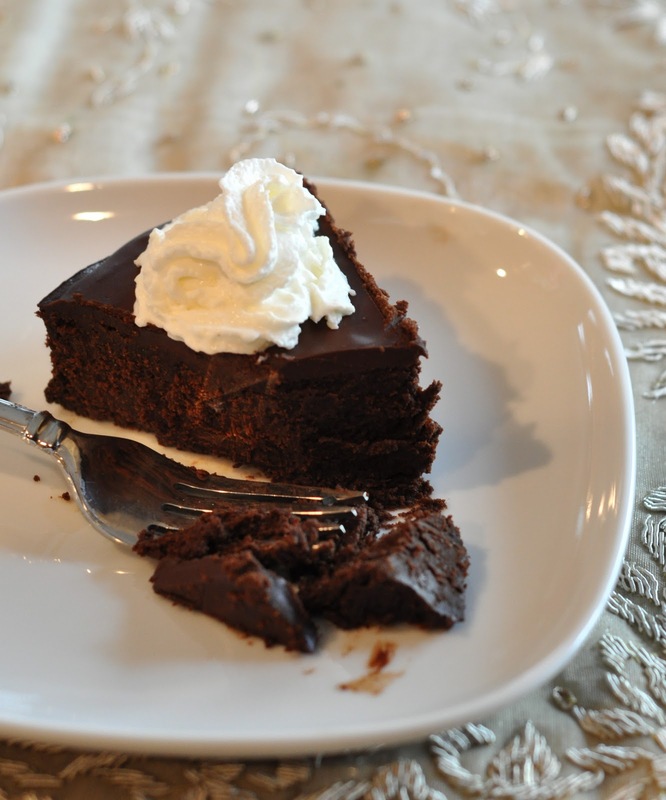 My good friend Nicole and I recently made this flourless chocolate cake called La Bete Noire (the black beast). I tried this cake about 5 years ago when Nicole brought it over to our place for a Wine and Cheese Tasting Party and I loved it. I remember serving the cake at the end of the night with Port and the combination was such a huge hit with my guests. I am not a huge fan of chocolate cakes but this cake is definitely an exception. Whenever my husband and I think about that night 5 years ago we always think of Nicole and the amazing cake she made. So if you feel like taking a break from making apple crisp and apple pie this fall then definitely try making this black beast. 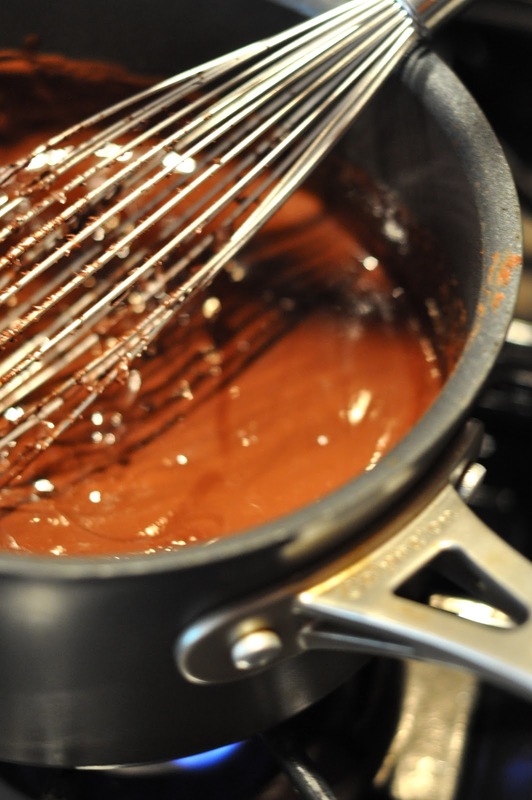 The key to this recipe is using high quality chocolate. We used Callebaut chocolate from Whole Foods. 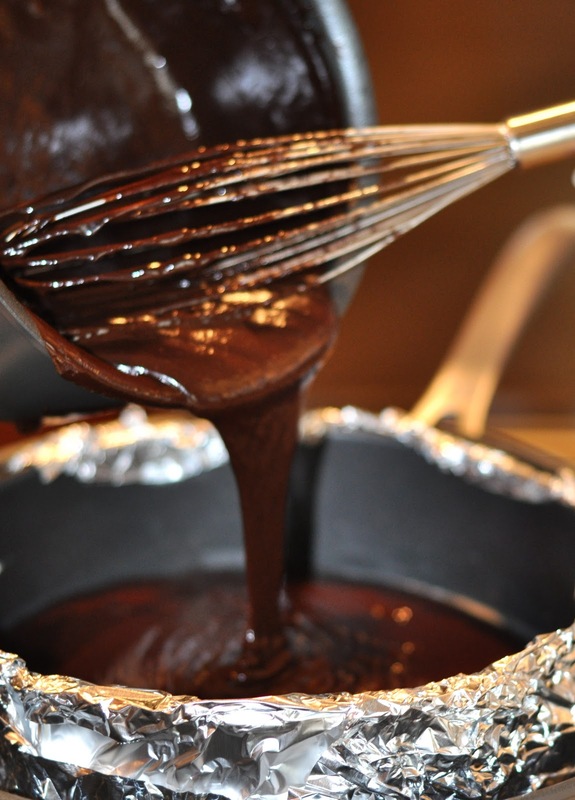 The foil kind of ruins the picture but it is crucial in this recipe to wrap the foil all the way around the pan so that water does not seep into the pan when the cake is baking. Here is the finished product right out of the oven. Here is the cake with the ganache and some whip cream (oh and after I had a couple of bites). 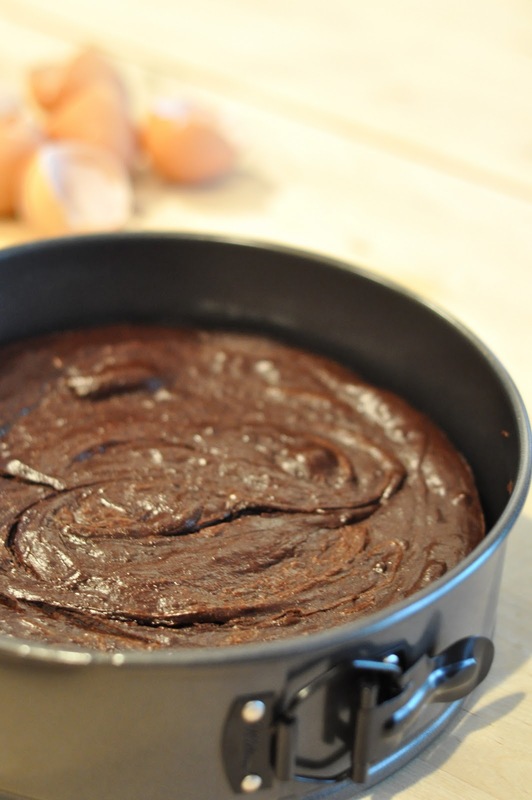 The cake is rich and creamy like fudge but it is not too sweet or heavy. Oh and a very Happy Birthday to my husband today! 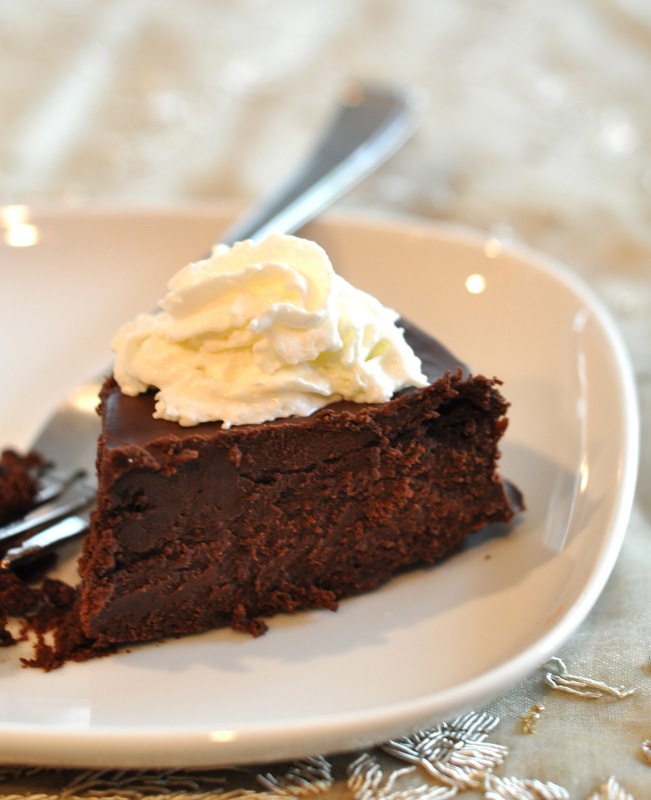 Chocolate cake is definitely his favorite dessert so I might have make the cake again this weekend. I think pairing the cake with some fresh raspberries might be a nice combination. Do you enjoy baking with your friends and family? 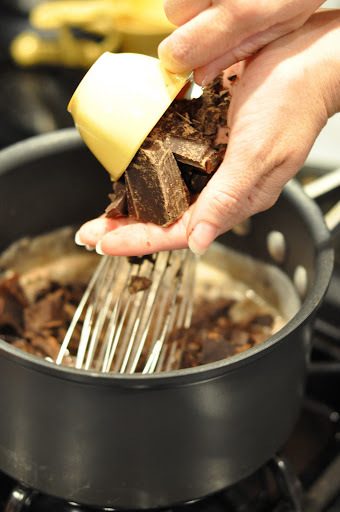 What types of desserts do you enjoying making?